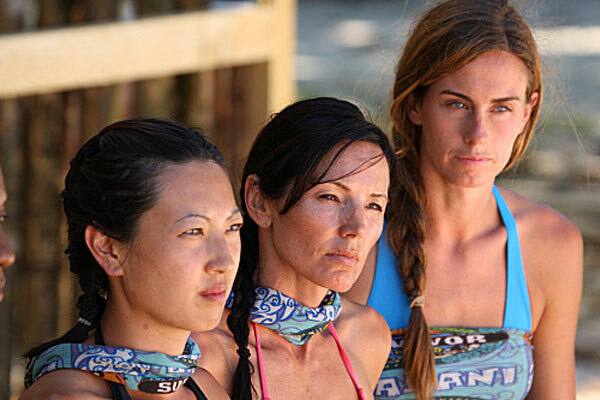 Survivor: One World, "Total Dysfunction"
Last week's premiere of Survivor: One World worked because the contestants were totally unprepared for the season's big twists. Taking this theme one step further, most of the players appeared to have little knowledge about the show. This amateur feeling led to a chaotic start that revealed plenty of promise for the upcoming episodes. The opener worked despite having very few likable cast members, particularly those who received a majority of the screen time. That trend was exacerbated during last night's follow-up "Total Dysfunction", which was a surprisingly grating episode this early in the season. I'm trying to stay optimistic since we're still getting to know the cast. However, there are warning signs of possible trouble ahead. To offer a quick summary of the episode, the guys continued their dominance, which brought up some unfortunate sexist tendencies from Jeff. A painful Tribal Council ended with a predictable boot, despite what the editors tried to sell us. For my extended thoughts on "Total Dysfunction", check out my review for Sound on Sight. I'll keep my fingers crossed that Survivor rights the ship next week.